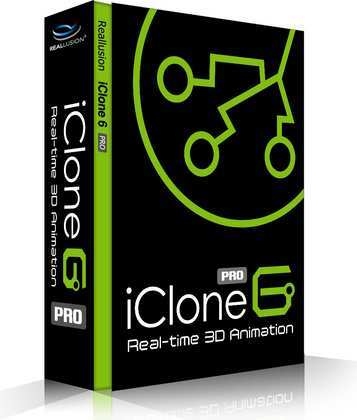 Reallusion launches iClone 6, a substantially enhanced release three years in-the-making. 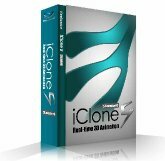 iClone 6 features refined 3D scene and character animation tools, new ultra-realistic rendering plus cinematic all-in-one editing environment for filmmakers, animators and storytellers. iClone 6's new flexible UI has settings for instant layouts to do animation or visual effects or you can set up your own customised UI workspace. Apart from the vast visual and usability improvement, iClone 6 is empowered with lots of exciting features that are a direct result of months of collaboration with many industry-leading real-time technology partners: Allegorithmic Substances – IDV SpeedTree – NVidia PhysX – Indigo Render. With enhanced visual quality, a streamlined plug-in architecture and rich instant character content, iClone 6 democratises 3D animation by offering easy-to-use, affordable and an open pipeline for everyone to create their own professional 3D animations. iClone 6 connects hobbyists to professional artists to industry-leading technologies with support for NVidia PhysX, IDV SpeedTree, Allegorithmic Substance and Indigo Render by Glare Technologies. GPU acceleration with Indigo Ray Tracing rendering, enables iClone 6 users to achieve real-time production, bring more photo-realistic, cinematic look and feel to the iClone engine. To streamline this unique workflow, Reallusion provides an automatic shader mapping between iClone 6 and Indigo. 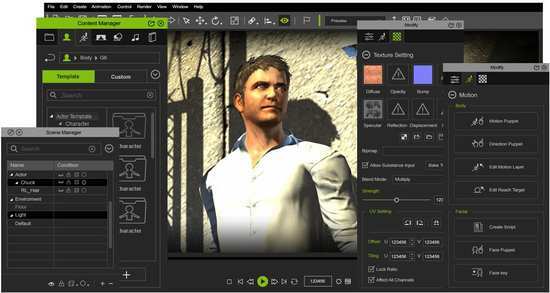 In addition, users can perform custom refinement using Indigo's unique shader options, or they can choose to download Indigo's material library for even better results. For iClone 6 now supports NVidia’s PhysX technology which enables natural real-time simulation for hair and cloth movement, Reallusion has also enhanced the rigid body system with a brand new visual constraints system to easier structure sophisticated physics behavior. Enhancing the creation of natural scene is possible now as iClone 6 has upgraded it’s SpeedTree engine to give wind control over timeline and trees now come with multiple texture channels enhanced with normal, specular, and even transmissive effects. The powerful Substance engine is built-in to iClone 6 empowering users to easily add dynamic texture behaviors to existing iClone materials, as well as provide texture blending animation capabilities. Additionally, users can also load the vast Substance material library or create their own by using Allegorithmic’s Substance Designer tool. Reallusion is not only a 3D animation software provider with 300,000 content items in 14,000 packs, but it is also steadily becoming one of the largest real-time content marketplaces for instant animation resources. With top-selling game content providers: Dexsoft, Quantum Theory Entertainment, Protofactor and Necturus; iClone users can take advantage of using high-quality characters, scenes and props in their projects. Animate in iClone 6 without the hassle of complicated character preparation. Anyone can animate a 3D character with auto lip-sync capability and motion puppeteering tools. The embedded character content contains customizable facial & body templates along with outfits, props, motion profiles, particles and post effect templates that allow users to create an avatar and start animating on the spot.